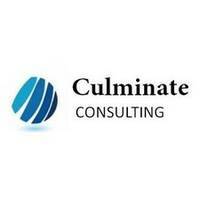 Latest job openings at Culminate Consulting, a professional service firm. See the requirements and procedure to apply for Culminate Consulting jobs online. BSc or HND in Accounting, Economics and Finance. ICAN or ACCA part qualified. 2 years post qualification experience. One or more years of experience in providing high-level administrative support to executives. How to Apply for Culminate Consulting Jobs. Apply Before: 23rd April, 2019.